Very nice Michael, thanks for sharing. That is very impressive Michael, is this something you have worked on specially or just default FSET? BTW, looking at your location I hope you and yours are safe from damage after the quakes? Great collection of shots showing off the photoreal scenery Michael, thanks for the look. Thanks all for the compliments. Its FSET using 1M/PIX default resolution and the satellite images courtesy of Bing. Although we are over 100 Klms from the centre of the quakes the largest recorded at 6.5 it did rattle the house but no structural damage. Wow, I'm not normally a fan of photoscenery, but that looks fantastic. Great job! I;m at work right now so cannot run this video, but I plan on catching up with this, just from the video preview it looks fantastic mate. 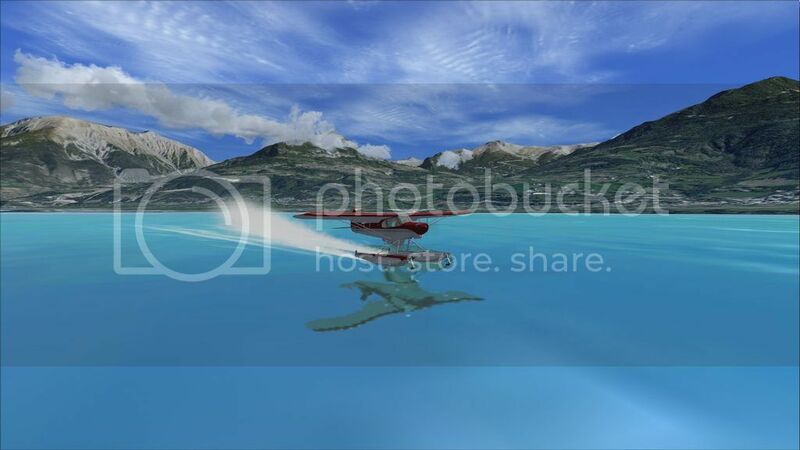 No not with photo real scenery as the default FSX cartoon scenery is underneath so you wouldn't see the water. So you have to make a water mask in FSET which allows the FSX water to show through the photo scenery. Hope I'm making some sense here? Cheers Michael. You must be mad, great capture. Ah! yes, I forgot about the water masking, it's been so long since I've done anything with photoscenery. So all in all, you did a great job sir!